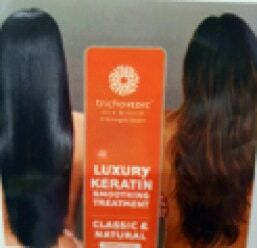 We have a new Luxury Keratin Smoothing Treatment - Trichovedic hair wisdom. All Australian formula and all natural. Give yourself a beautiful shiny frizz free hair . Our natural application is designed for clients who want to improve hair condition and smoothness with humidity protection and time saved when styling but want to retain some wave and value for a more natural look. What makes Trichovedic Keratin different from other professional smoothing treatments on the market? Most professional smoothing treatments are formulated using a methylene glycol based bonding system. Trichovedic Keratin is formulated with a breakthrough Plant-Derived KeraSafe Bonding System. This bonding system releases 0% Formaldehyde before, during or after the in-salon smoothing treatment. 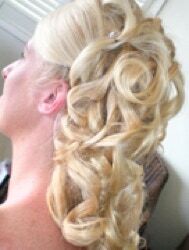 With years of experience in getting the bride to the church on time, Salon VIP offer first class service for all bridal hair requirements. From the initial chat over styles for bride, bridesmaids, mother of the bride and even the groom; to timing for that extra special day, Barbara is there to help with all your queries. Barbara can advise you on just the right colour for you. With frequent trips to Europe, she keeps up to date with all the latest trends, fashions and product. If you are having problems with any aspect of your hair’s health, call Barb and arrange to talk to her about it. She will always advise you skillfully and with care. As the Australian distributor for Connecting Hair/Australia, there is no better place to go for expert advice for your extension questions. Our full service is available for men as well. Discuss your requirements with us. KeraSafe is a proprietary blend of ingredients combining the original Super Nutrient Complex, rich with powerful smoothing ingredients such as camu camu and annatto seed, with a highly innovative Plant-Derived Bonding System that effectively smoothes and seals the cuticle by creating a protective protein layer around the hair shaft to eliminate frizz and promote shine.